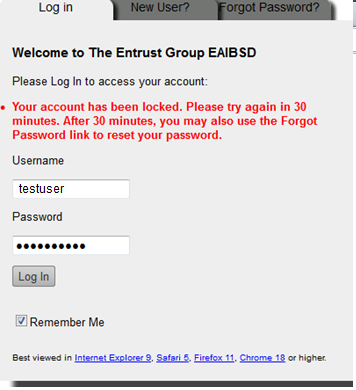 This page is designed to give you an overview on how to log in to your Entrust Account site as a New User, a Returning User or to help if you have been locked out or forgotten your password. 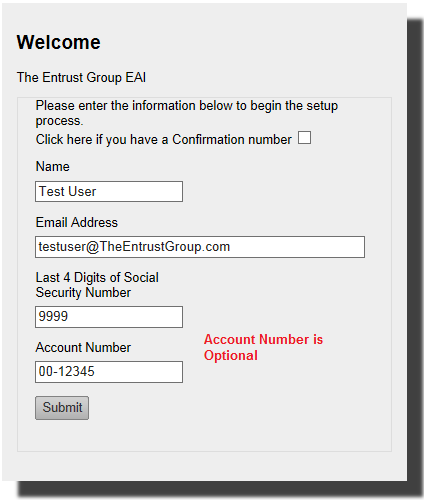 The Entrust Group employs security best practices to keep your accounts safe and your information private. 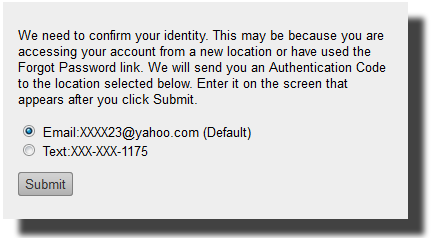 At times, we may request information to authenticate a user by phone or email. All New Users sign on via the “New User” Tab. Most users will have a Social Security Number (SSN) on file, and will use their SSN to enable their account. If you have a SSN on file, you will fill out the section on the welcome screen and hit submit. DO NOT check the box for confirmation number. After connecting to your online account, creating a book mark on your computer will make returning to the site much easier. Bookmark (ctrl-d) the link for easy access next time you want to log in. Customers without a SSN (usually IPDs) will need to fill in the confirmation code. A confirmation code can ONLY be obtained by calling Customer Service at: 1-800- 392-9653, option 4. 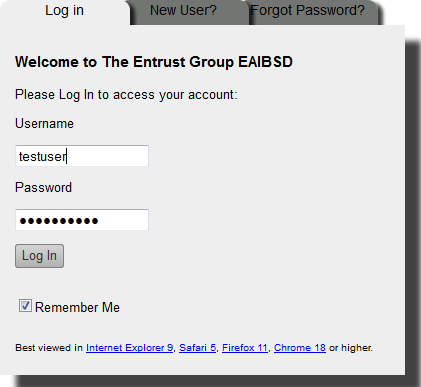 Returning Users go to the Entrust Account Login Tab on our website to find the correct link for their account. Make sure you select the appropriate log in based on your account number format and location. After identifying your account, you will be directed to the Returning User log in page where you may access your account site. If you are using a home computer and you want to save your login credentials, (eliminating an authentication code each time you login), you can check the “Remember Me” box. Note: DO NOT Check this box from a public computer! Checking this box will save a cookie on the machine, jeopardizing your privacy. The first time the user logs in or logs in from a new machine or if “Remember Me” is NOT checked; you will be asked again for an authentication code. Sometimes it may be necessary to confirm your identity on the site. What we use is an authentication code rather than the security questions you are used to (For example, your pet's name, mother's maiden name) as that information is not as secure. 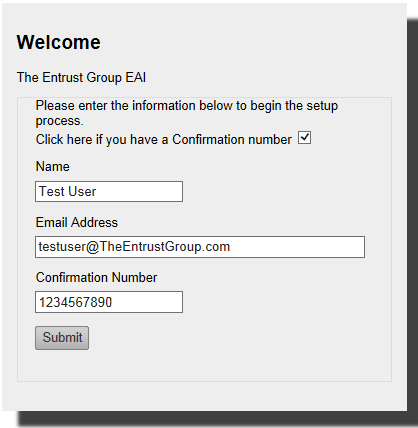 The authentication code can be sent directly to your email from "AccuNet Admin", or your phone (via text or voice mail). Once you have received that code, you may enter it to complete your log in. Locked Out or Forgot Your Password? If you attempt to login with the incorrect password more than three times, you will get locked out for 30 minutes. If you have a user name and forgot your password, customer service representatives CANNOT re-set a password; you, the client must do so. Click the “Forgot Password?” tab on the login screen and fill out the details. After filling in the Authentication code you will be prompted to change your password. Note: Passwords must be at least 8 characters long and include at least one capital letter, one lower case letter and one number or punctuation mark. Once you are logged in, you may navigate to the "Preferences" tab in your account to update your information or change your password at will.